Would You Style Your Hair with Champagne? Experts say a sparkling rinse helps make hair soft, shiny and can brighten natural highlights and increase volume. Champagne contains antioxidants, which protects the skin and hair from free radicals and oxidative stress so sip and suds up ladies! Champagne is the cornerstone of hair-care brand Cuvee Beauty’s formulas and even their brand story. In each of the products, the brand uses “the Cuvee Complex”, which is a mix of champagne extract, white truffle, platinum ferment extracts, resveratrol, ceramides, plant proteins, and botanicals.These ingredients help style the hair, slow hair’s aging, protect against the elements, and provide moisture and nourishment that your hair will literally drink up. 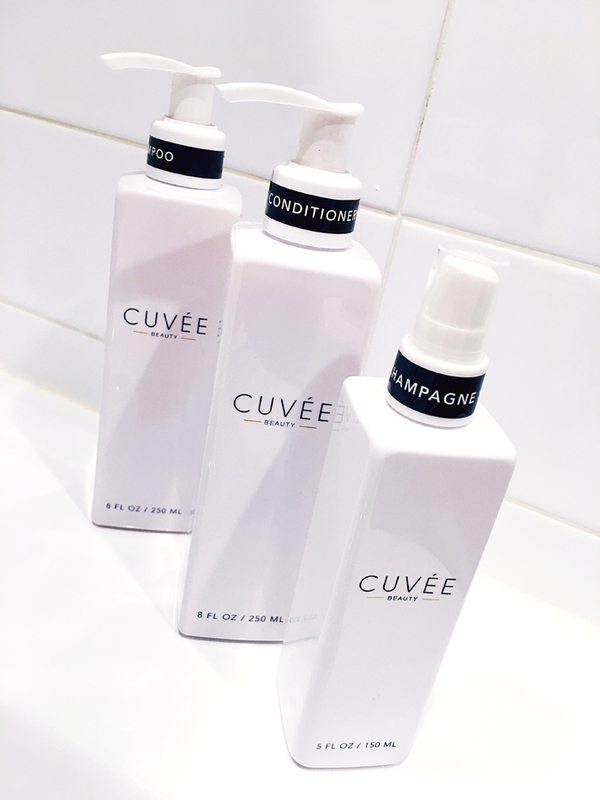 Cuvee Beauty’s Champagne Spray is their signature product to create elegant movement and effortless waves for a piece-y modern silhouette.Simply spray onto towel dried hair, working from mid-way to ends and style as usual. The lightweight formula has a clean feel leaving you with second day hair every day and offers antioxident protection while conditioning.Best of all, it’s sulfate-free, paraben-free, phthalate-free, and cruelty-free.